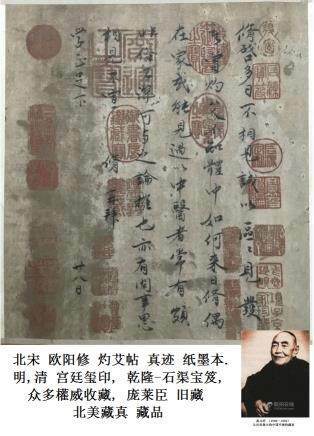 拍卖 32幅 近代/古老/古典的中国书画. 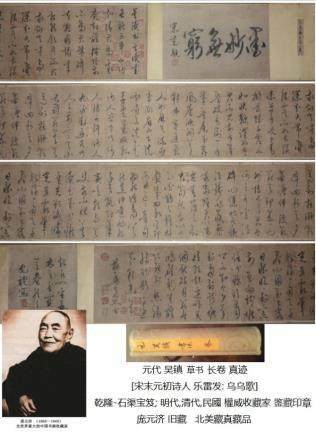 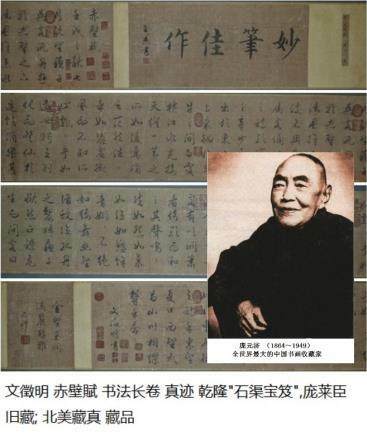 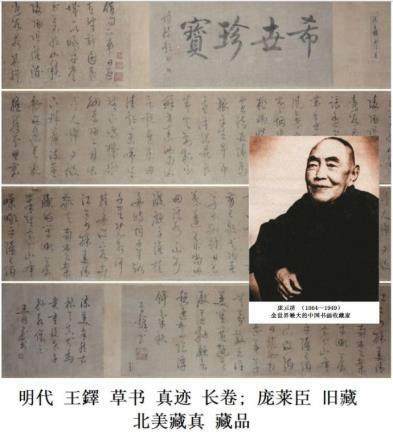 这些作品起源于古老朝代. 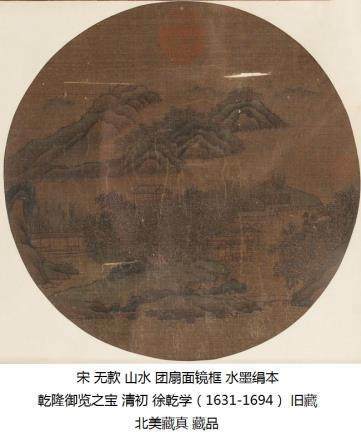 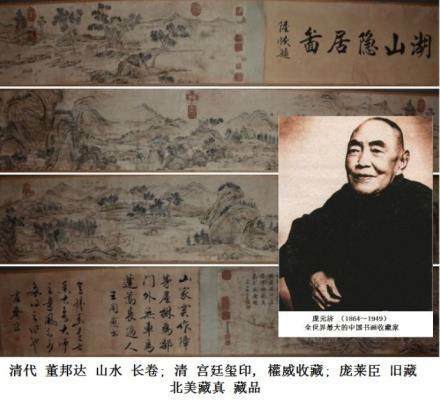 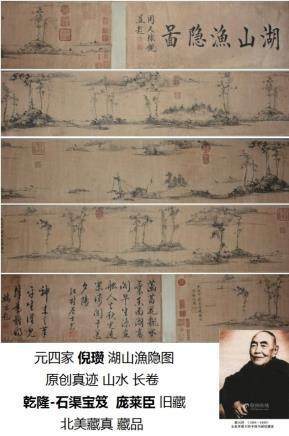 出自 古代 著名 画家 和 书法家. 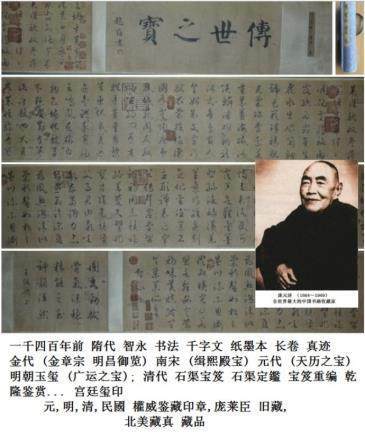 其中有 曾經是 金,宋,元,明,清 宫廷藏品. 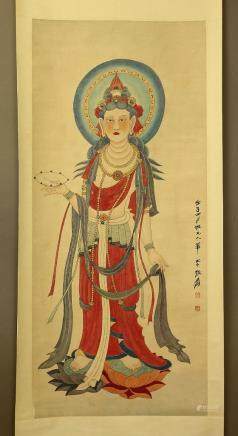 乾隆-石渠宝笈. 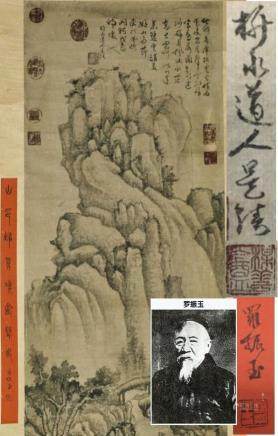 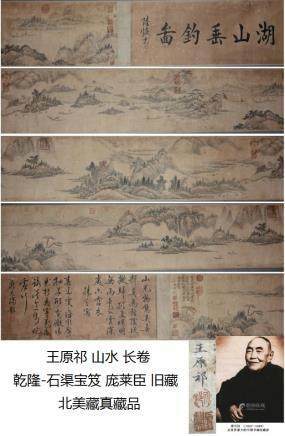 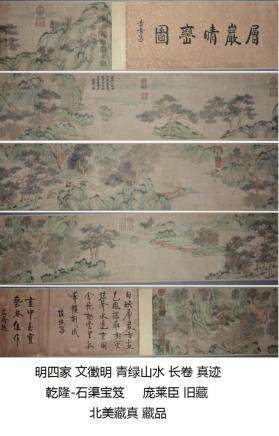 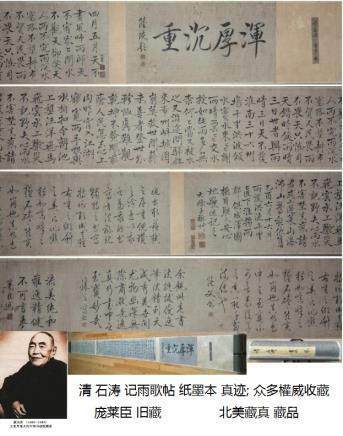 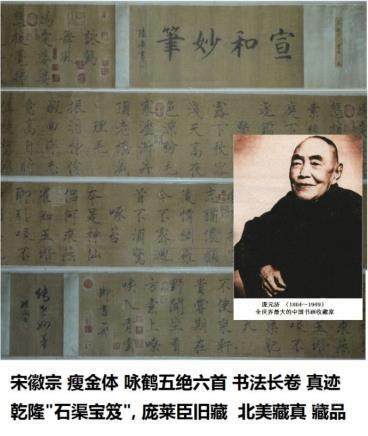 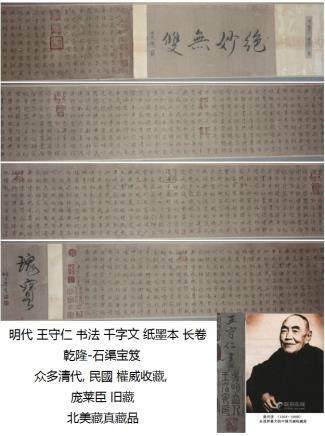 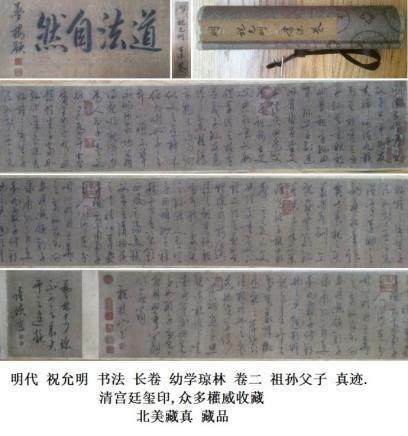 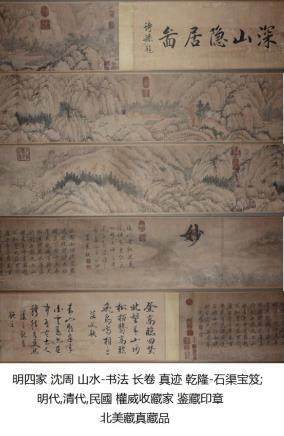 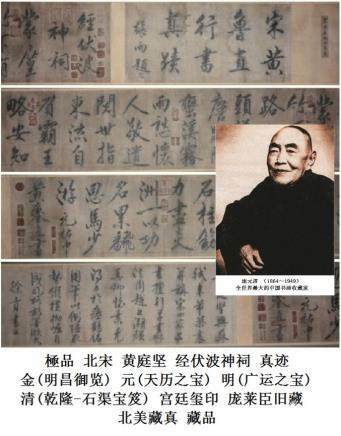 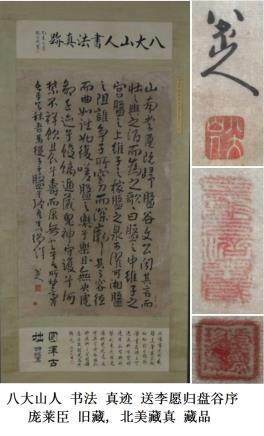 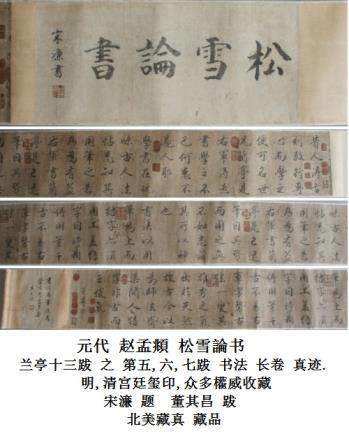 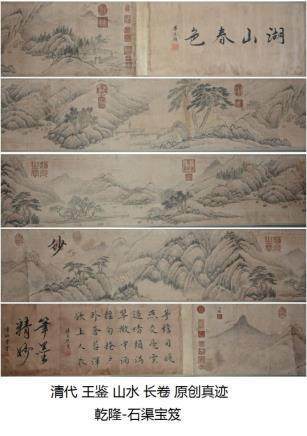 Unprecedented 32 morden/ancient/classical Chinese paintings and calligraphy for auction. 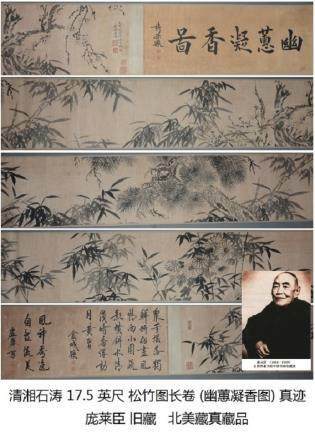 These pieces were originated during ancient dynasties. 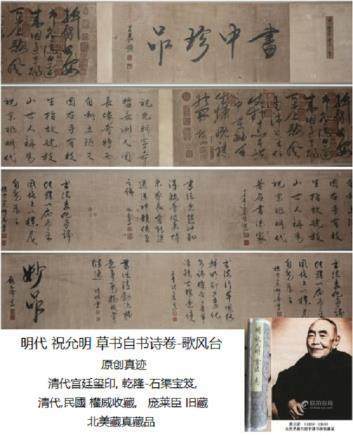 Written by famous ancient painters and calligraphers. 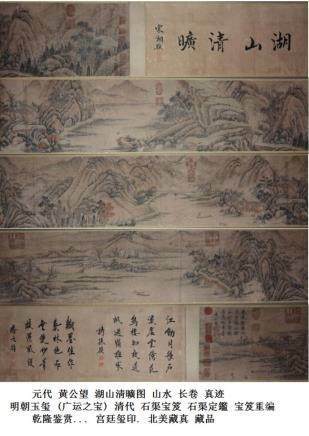 Some pieces are prior Jin, Song, Yuan, Ming, Qing Palace collections. 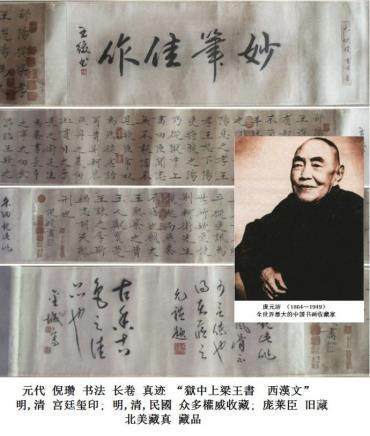 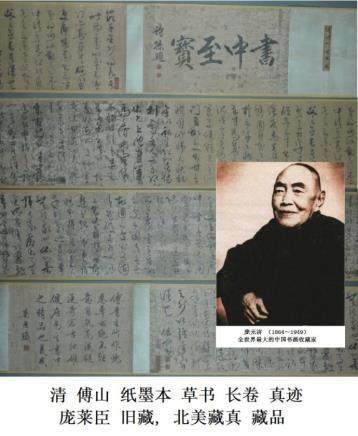 SHIQU BAOJI (石渠宝笈). 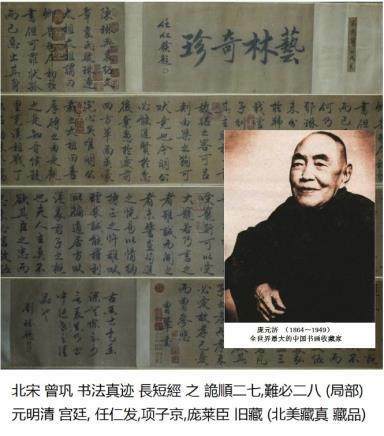 Pang Lai Chen's (庞莱臣) old collection. 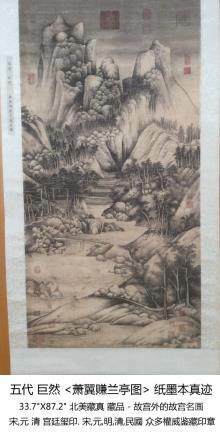 北美藏真藏品. 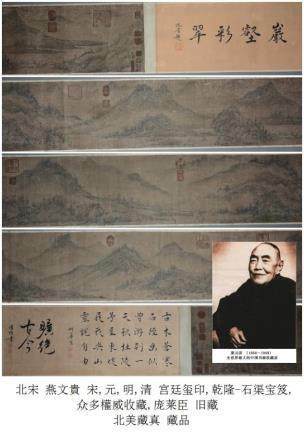 Images of Credit card (front and back). 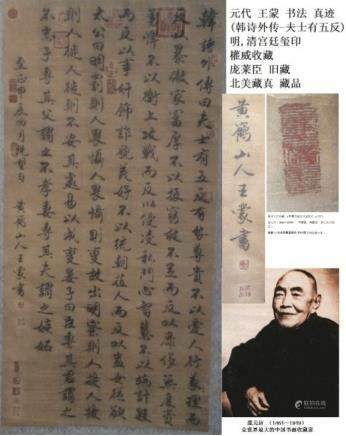 129: 清代 王鉴 （1598－1677） 湖山春色 山水 长卷,乾隆-石渠宝笈. 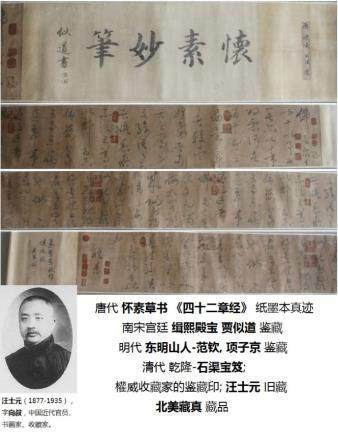 Ezealand 及其货主对拍卖品不作任何担保或代表。Ezealand 及其货主也不对拍卖品任何形式的目录标题, 描述，年代, 真实性，归属，出处，作者身份，完整性，正确性, 状况,估价 负任何 责任.